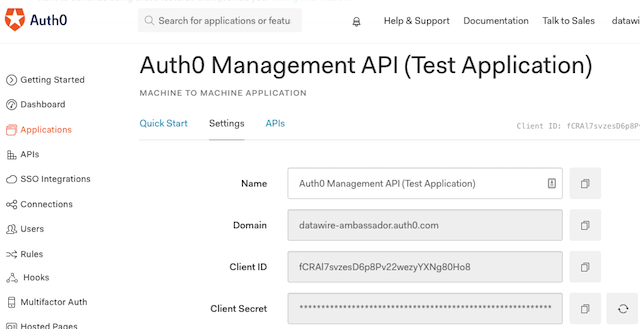 With Auth0 as your IDP, you will need to create an Application to handle authentication requests from Ambassador Pro. 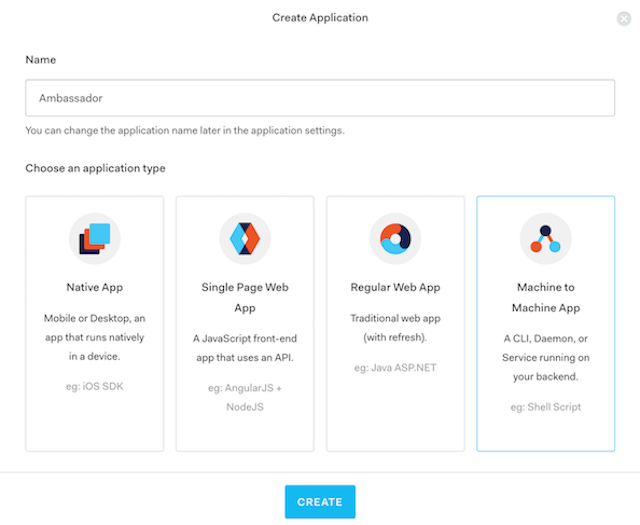 Navigate to Applications and Select "CREATE APPLICATION"
In the pop-up window, give the application a name and create a "Machine to Machine App"
In your newly created application, click on the Settings tab, add the Domain and Callback URLs for your service and ensure the "Token Endpoint Authentication Method" is set to Post. The default YAML installation of Ambassador Pro uses /callback for the URL, so the values should be the domain name that points to Ambassador, e.g., example.com/callback and example.com. 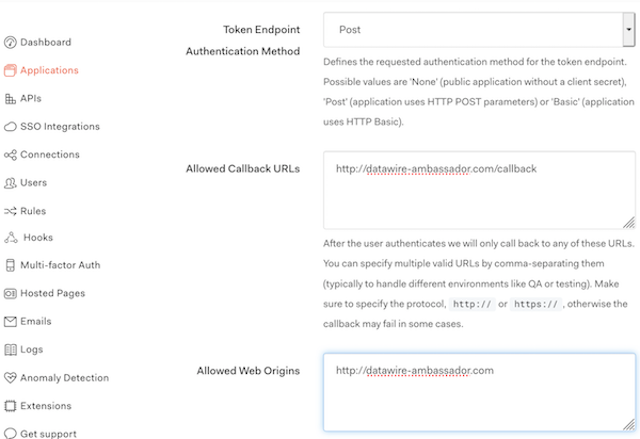 The authorizationURL is your Auth0 tenant URL. 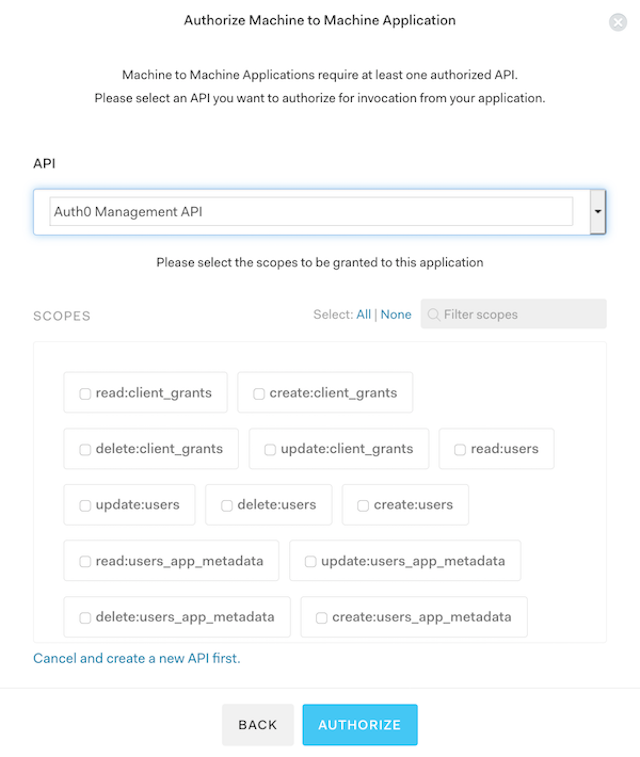 Note: By default, Auth0 requires the openid scope.